Car manufacturers are under intense scrutiny due to the lives they carry and they must be deemed up to standard. In 2015, Volkswagen nearly collapsed after news broke the company had been skimping on emissions requirements. Now, Nissan's Chairman Carlos Ghosn has found himself at the center of a similar scandal involving the automaker. Ghosn was taken into custody by police in Japan after an internal investigation revealed he was guilty of committing "significant acts of misconduct". The misconduct is said to have taken place over a number of years along with another top executive with Nissan. The announcement comes as a shock to the auto industry which is currently embattled in a race to outperform the rest of the computing industry in the electric car sector. The news of the arrest of one of the global auto industry's leaders rocked the auto industry and the Nissan stocks ($NSANY) and Renault ($RNSDF), a second company where Ghosn is acting chairman. Between Nissan, Renault, and Japan's Mitsubishi Motors ($MMTOF), the three companies make up the largest global alliance of vehicle manufacturers. The trio is responsible for one out of every nine cars sold around the world. 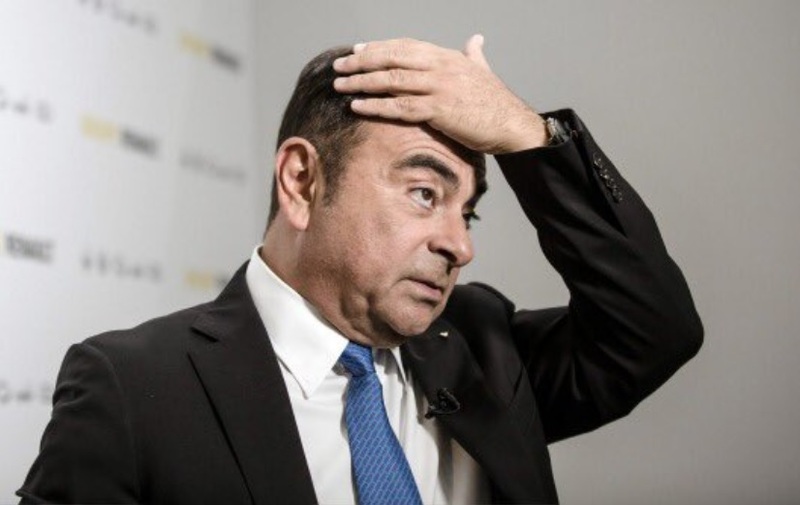 Nissan issued a statement that revealed it had been internally investigating Ghosn who has been in the automobile industry for 40 years. Nissan CEO Hiroto Saikawa said at a press conference in Tokyo, "These two gentlemen were arrested this evening, that is what I understand." The company also revealed that its investigation discovered that the 64-year-old Ghosn and another Nissan board member named Greg Kelly had been under-reporting the amount of money that Ghosn had been receiving. "Numerous other significant acts of misconduct have been uncovered, such as personal use of company assets," the company added. Going forward, Nissan's CEO Saikawa plans to propose to Nissan's board of directors to "promptly remove Ghosn from his positions as chairman and representative director" at a meeting as soon as Thursday. Saikawa was also clear that he wanted Ghosn removed from the board altogether. Since news of Ghosn's arrest spread, the stocks of both Nissan and Renault have plummeted as much as 13 percent. Renault has yet to release a public statement regarding the situation. French President Emmanuel Macron was willing to speak on the topic and warned automakers that the government will be watching closely. Macron said, "The state, as a [Renault] shareholder, will be extremely vigilant regarding the stability of the alliance and the group." Nissan's own statement added, "Nissan deeply apologizes for causing great concern to our shareholders and stakeholders. We will continue our work to identify our governance and compliance issues, and to take appropriate measures."